Provide comfort for the family of Alan Riegner with a meaningful gesture of sympathy. Alan was born in 1954 in Pittsburgh, Pennsylvania to Bernard and Cecilia Riegner. He proudly graduated from Penn State University in 1976 with a degree in Business Administration. He began his career at General Electric before purchasing his furniture business, now Amish Home Furnishings, in Holly Hill. Alan was an active and dedicated member of the Holly Hill Chamber of Commerce and was president of the Daytona/Palm Coast chapter of the Penn State Alumni Association for 10 years, even though the bi-laws stated one could only serve for three years. 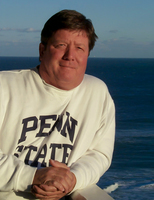 He fondly enjoyed sailing, SCUBA diving, skiing, photography, and most of all, Penn State Football. Alan is survived by his three children, Ryan, Lauren, and Alison, who were his greatest pride, his brother David, multiple nieces and nephews, and his dedicated team of employees. 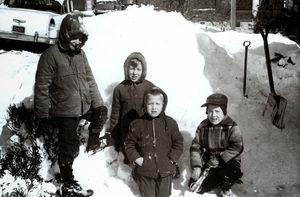 He is preceded in death by his parents, Bernard and Cecilia Riegner, and his brothers, Bob and Marty Riegner. In lieu of flowers, the family requests memorial donations to Penn State’s THON, at www.thon.org. To send flowers in memory of Alan Riegner, please visit our Heartfelt Sympathies Store. Provide comfort for the family of Alan Riegner by sending flowers.